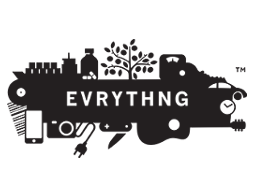 EVRYTHNG is the Internet of Things Smart Products Platform connecting consumer products to the Web and managing real-time data to drive applications and analytics throughout the product life-cycle. The world’s leading consumer product manufacturers work with EVRYTHNG to manage billions of intelligent identities in the cloud for their products. This enables brands to deliver digital services directly to end-users through their products, manage supply chains more effectively using real-time data, and operate smart products connected to the broader ecosystem of applications and services on the Web and in the enterprise.